This page gives a complete description of some of the most interesting historical and archaeological sites in Greece and the Greek Islands. 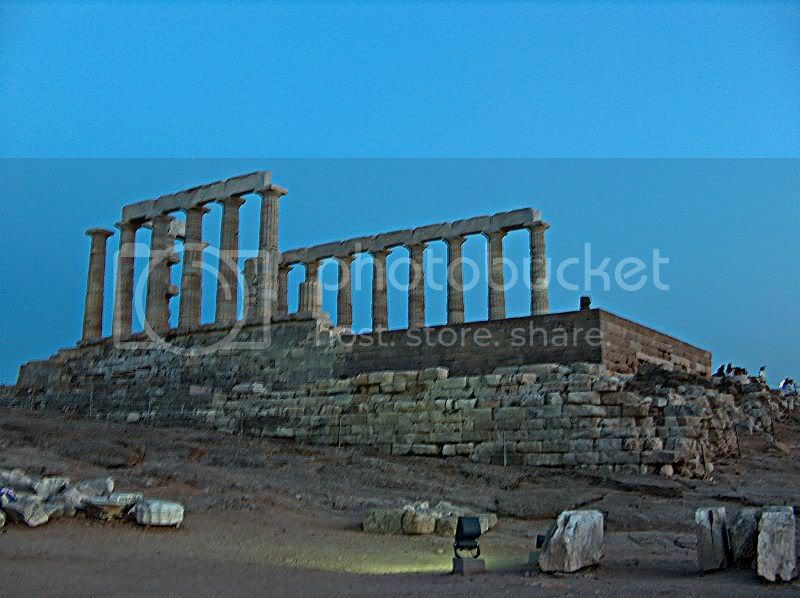 The Acropolis of Athens is an ancient citadel located on a high rocky outcrop above the city of Athens and containing the remains of several ancient buildings of great architectural and historic significance, the most famous being the Parthenon. The word acropolis comes from the Greek words ἄκρον (akron, "edge, extremity") and πόλις (polis, "city"). Although there are many other acropoleis in Greece, the significance of the Acropolis of Athens is such that it is commonly known as "The Acropolis" without qualification. The Acropolis of Athens is also called the Sacred Rock. In Greek mythology, Delphi was the site of the Delphic oracle, the most important oracle in the classical Greek world, and a major site for the worship of the god Apollo after he slew the Python, a dragon who lived there and protected the navel of the Earth. In the peaceful hinterland of Epidaurus, with its mild climate and abundant mineral springs, is the sanctuary of the god-physician Asklepios, the most famous healing centre of the Greek and Roman world. The sanctuary belonged to the small coastal town of Epidaurus, but its fame and recognition quickly spread beyond the limits of the Argolid. It is considered the birthplace of medicine and is thought to have had more than two hundred dependent spas in the eastern Mediterranean. Its monuments, true masterpieces of ancient Greek art, are a precious testimony to the practice of medicine in antiquity. Ancient Olympia is located in the Peloponnese, in a superb area. It is one of the most important sanctuaries in antiquity dedicated to Zeus, the father of all Gods. One of the most important features of the site is the stadium. In the center of the sanctuary, the remains of the temple of Zeus still marvel the visitors. It is also the place where the first Olympic Games were held in 7th century B.C. These games were organized to honor Zeus. According to legend, the games were founded either by Pelops, king of Peloponnese, or by Hercules. Wars stopped during the games and the winners were awarded a branch of olive tree. Mycenae is an archaeological site in Greece, located about 90 km south-west of Athens, in the north-eastern Peloponnese. Argos is 11 km to the south; Corinth, 48 km to the north. From the hill on which the palace was located one can see across the Argolid to the Saronic Gulf. The island of Delos isolated in the centre of the roughly circular ring of islands called the Cyclades, near Mykonos, is one of the most important mythological, historical and archaeological sites in Greece. The excavations in the island are among the most extensive in the Mediterranean; ongoing work takes place under the direction of the French School at Athens and many of the artifacts found are on display at the Archaeological Museum of Delos and the National Archaeological Museum of Athens. Delos had a position as a holy sanctuary for a millennium before Olympian Greek mythology made it the birthplace of Apollo and Artemis. From its Sacred Harbour, the horizon shows the two conical mounds (image below) that have identified landscapes sacred to a goddess in other sites: one, retaining its pre-Greek name Mount Kynthos, is crowned with a sanctuary of Dionysus. Phaistos, also transliterated as Phaestos, Festos and Latin Phaestus, currently refers to a Bronze Age archaeological site at Faistos, a municipality in south central Crete. Ancient Phaistos was located about 5.6 km (3.5 mi) east of the Mediterranean Sea.